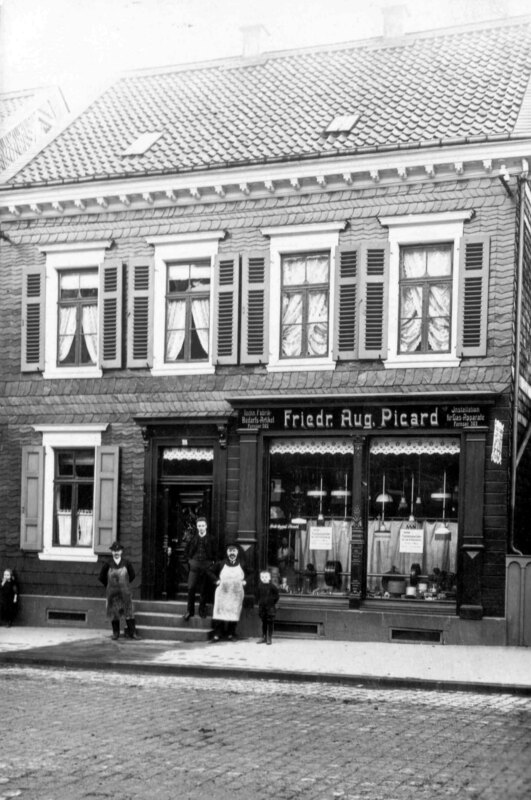 On this page you will experience more than 110 years of Picard history: From its foundation at the beginning of the 20th century to one of the leading manufacturers of grinding, polishing, brushing and deburring tools. Let us begin the journey. 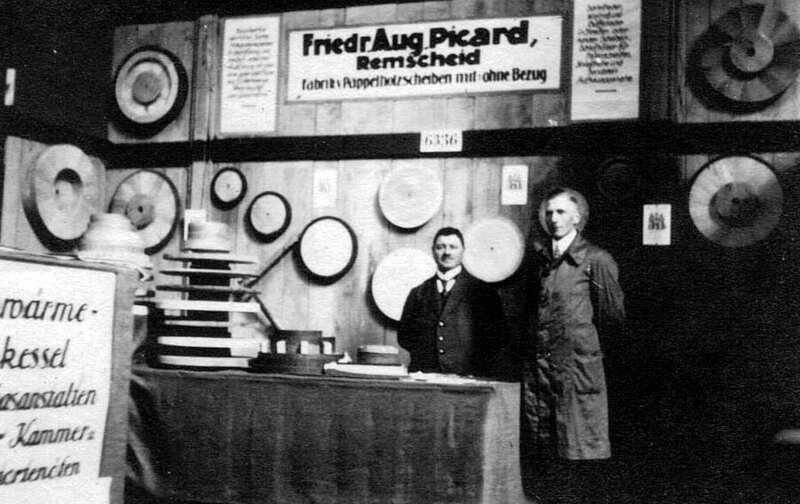 The company’s founder, Friedrich August Picard, opened a store for plumbing and manufacturing supplies on the 2nd of January 1907 at Freiheitstrasse 23 in Remscheid, Germany. The business’s reputation was soon established thanks to his farsightedness both as a businessman and as an engineer. 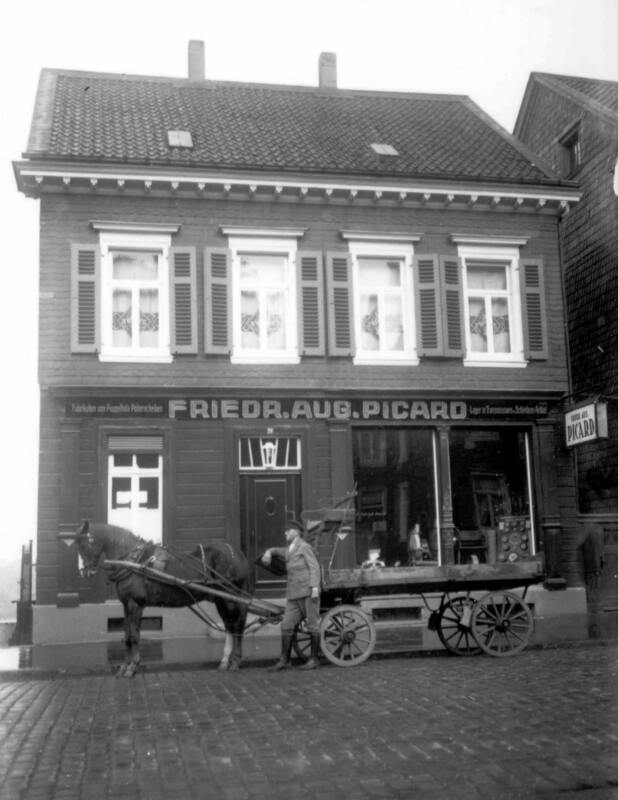 Friedrich August Picard was called up for military service in November 1916, and his wife, who had worked with him from the time the company was founded, assumed the direction of the business together with their daughter, Dele, until the end of the war. 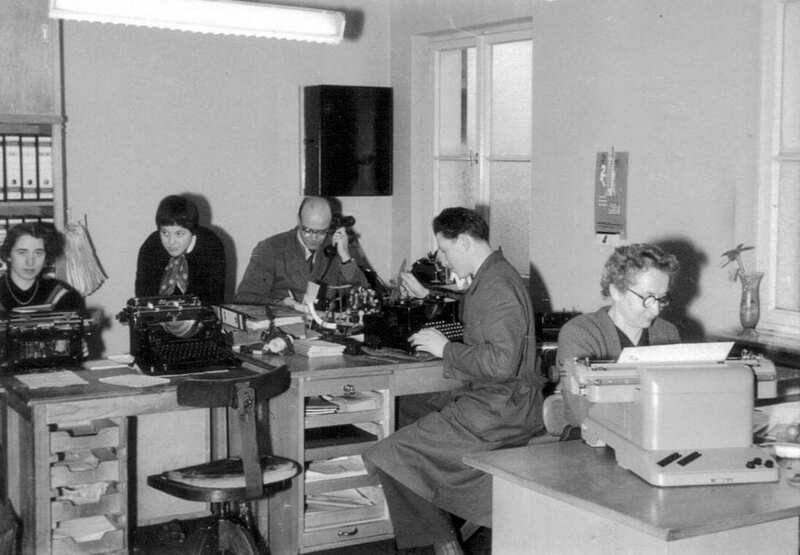 After the war, they continued together to develop the business. The production of poplar wood discs and grinding supplies began in the factory space acquired for this purpose at Knusthöhe 21 in Remscheid-Lennep. Walter Keller, the future son-in-law and partner, entered the business and after a time, together with his wife, Dele Keller, took over the store in Remscheid. Friedrich August Picard was now able to devote himself to manufacturing. 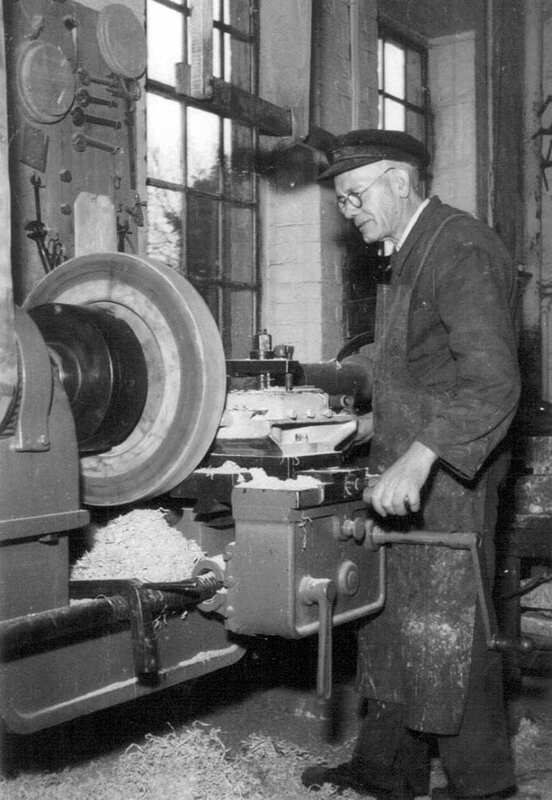 Having come from an established family of grinders, he knew the hardships and concerns in the grinding trade. 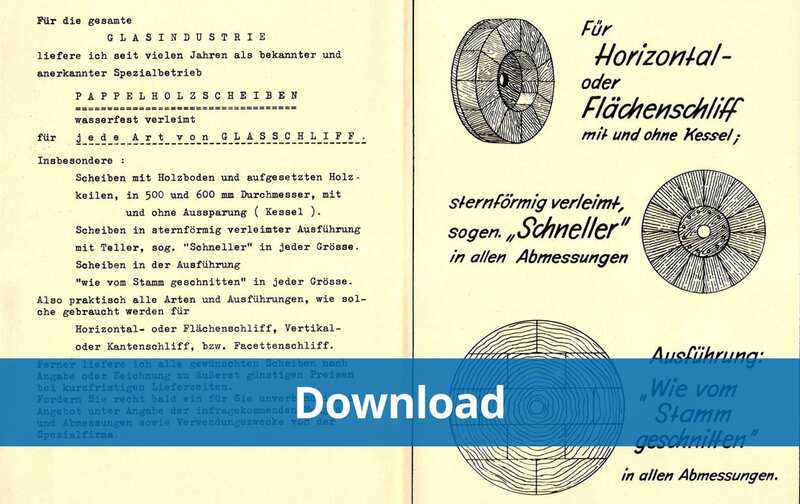 It was a matter or course therefore that, already 1931, he took up the manufacturing of grinding wheels which replaced sandstone and played a part in putting an end to silicosis, the dangerous grinder’s illness. Grinding wheels and grinding rings, used later in machines, prove their quality more and more in local industry. The second world war inflicts deep wounds. 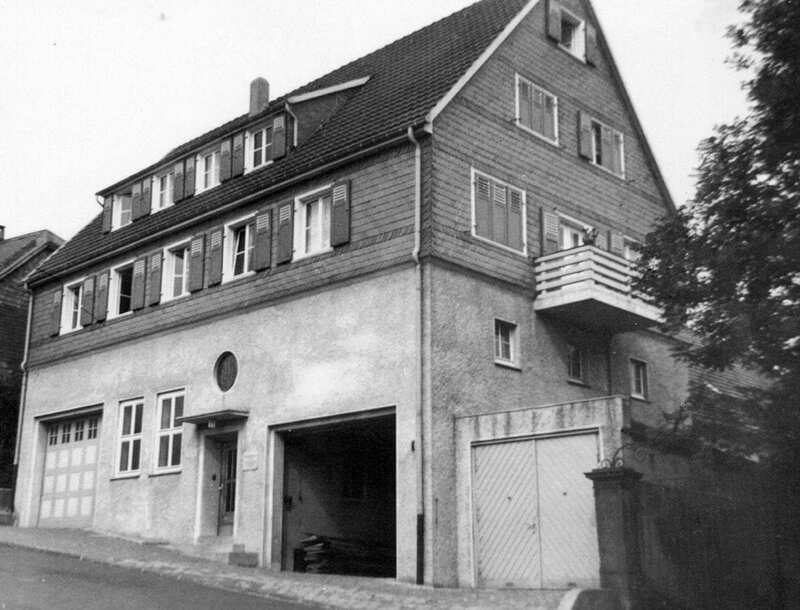 Air raids completely destroyed the store in Remscheid in 1943 and almost completely destroyed the factory in Remscheid-Lennep in March 1945, shortly before the end of the war. 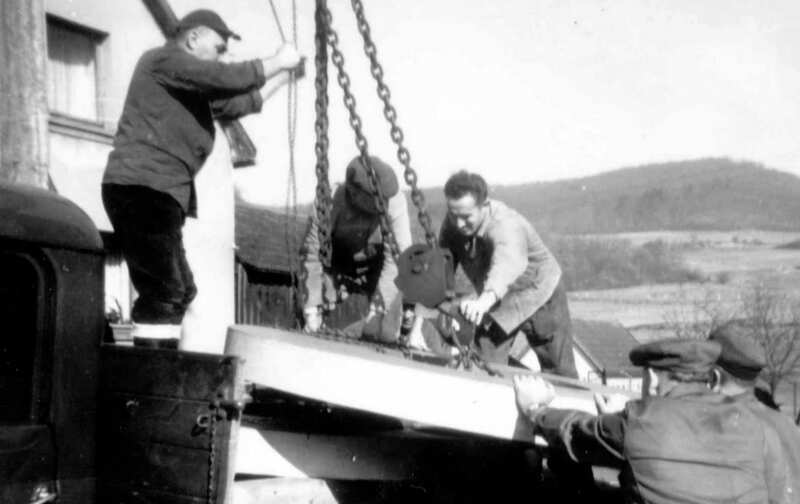 Following the founder’s death in October 1945, there was little possibility to begin with rebuilding in the years directly following the war. 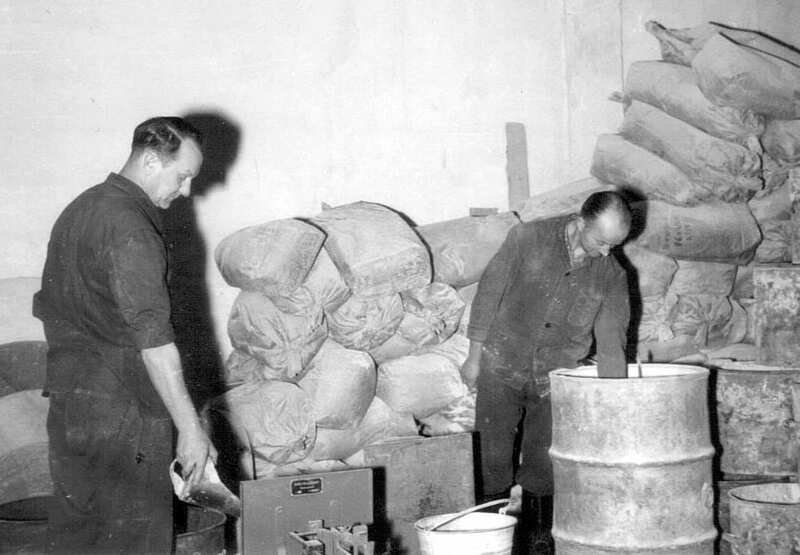 In the location not destroyed in the war, the manufacture of poplar wood discs and the trade in technical industrial supplies was continued. 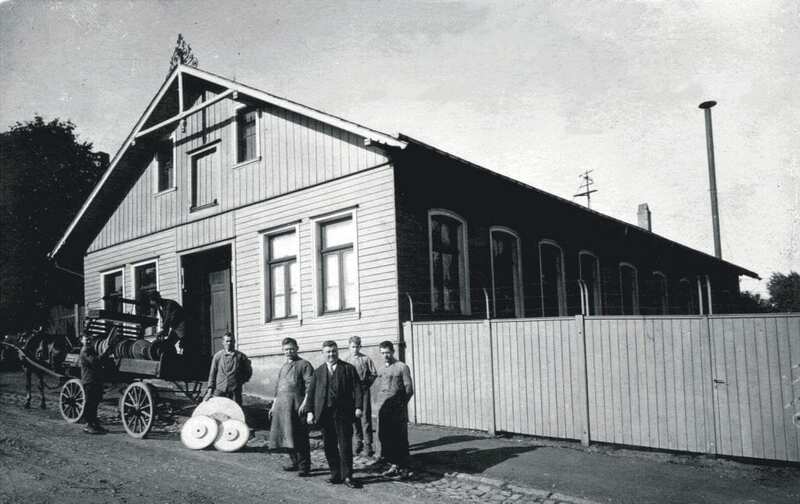 With the support of an always loyal employee base, the factory for grinding wheels was built to resume the manufacture and supply of tradition based quality products. 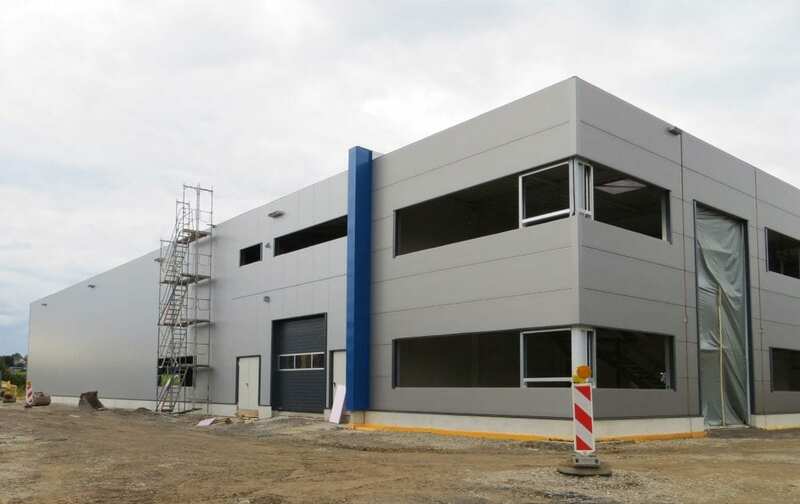 In a second stage of construction, offices and flats for factory employees were built. 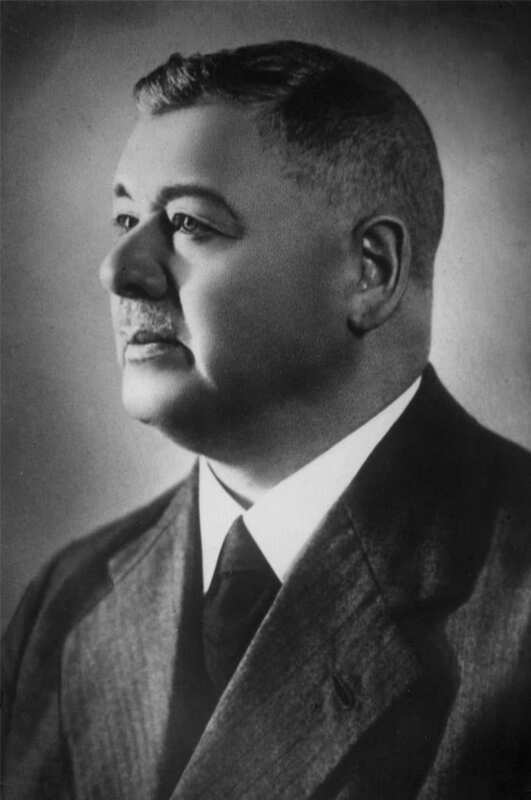 In December 1953, the always restlessly active managing director and partner, Walter Keller, passed away far too soon. 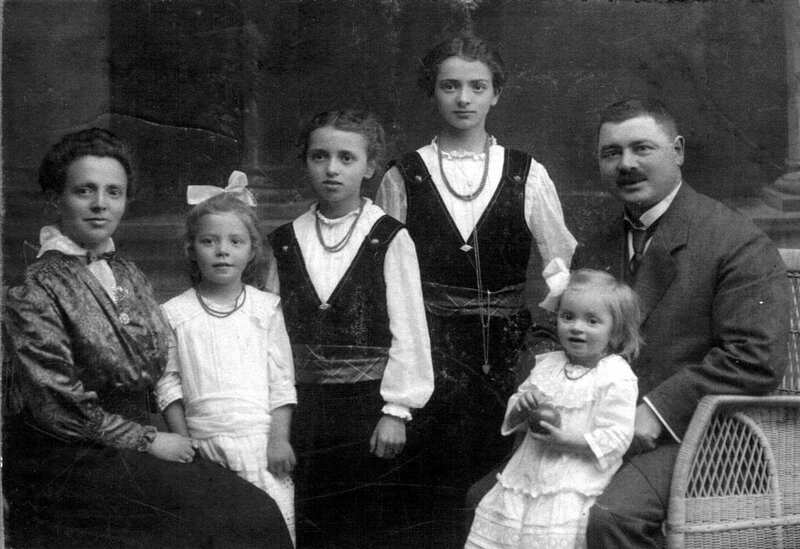 His wife, Mrs. Adele Keller, assumed the direction of the business. 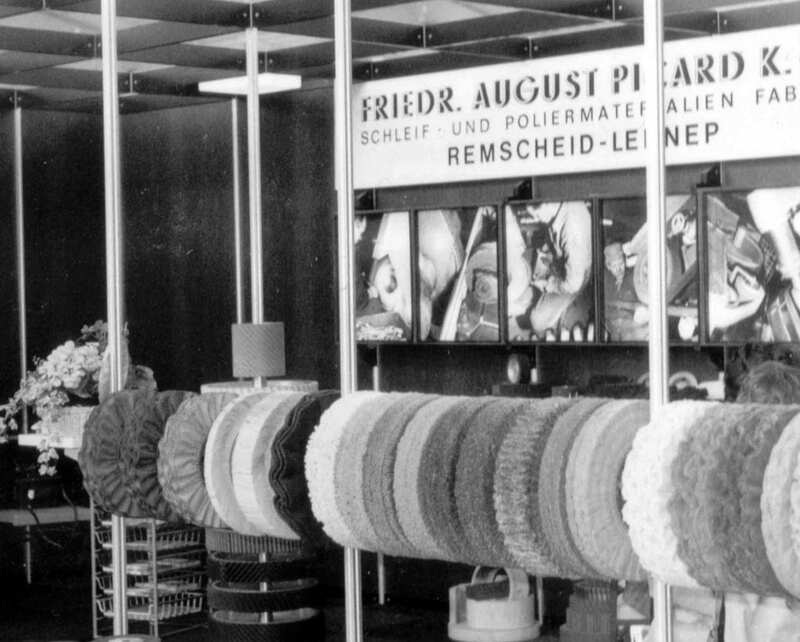 With Edmund Vahrenholt, Frau Keller’s son-in-law, the third generation enters the business on 15 March 1953. Previously, in just four years he had completed his apprenticeship and received his master tradesman qualification as a painter. 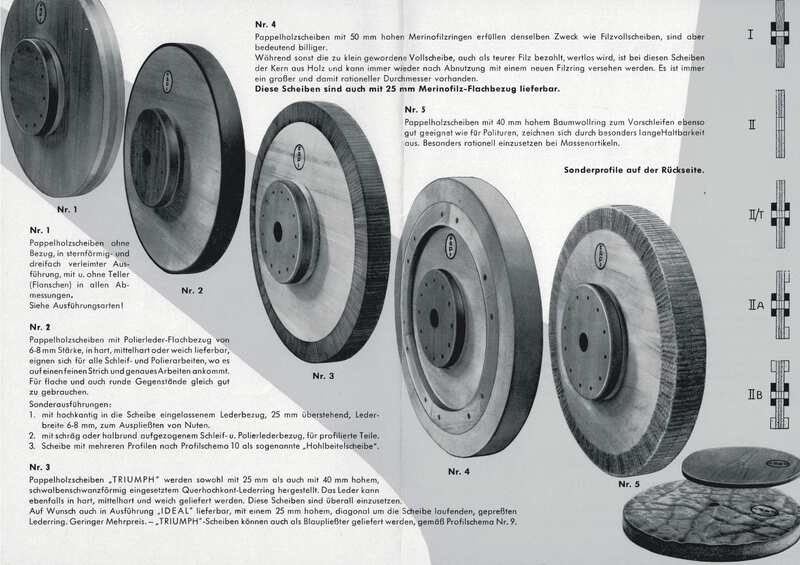 Belt grinding displaces the poplar wood discs, the so called Pliesst discs at an ever increasing rate. Consequently development of the belt grinding contact disc is pursued and the company, as a recognised manufacturer of these products, is soon able to present a comprehensive product range both domestically and internationally. 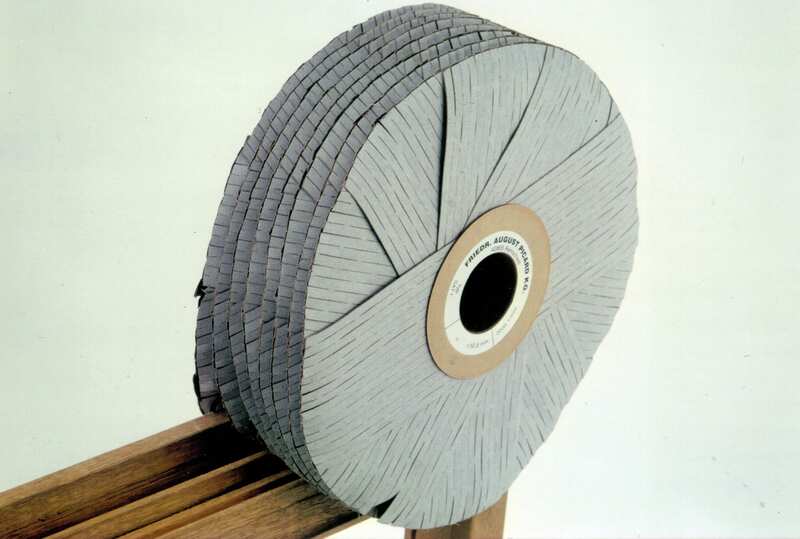 To extend its range of grinding and polishing materials, manufacturing of cloth and sisal polishing rings and discs commences. 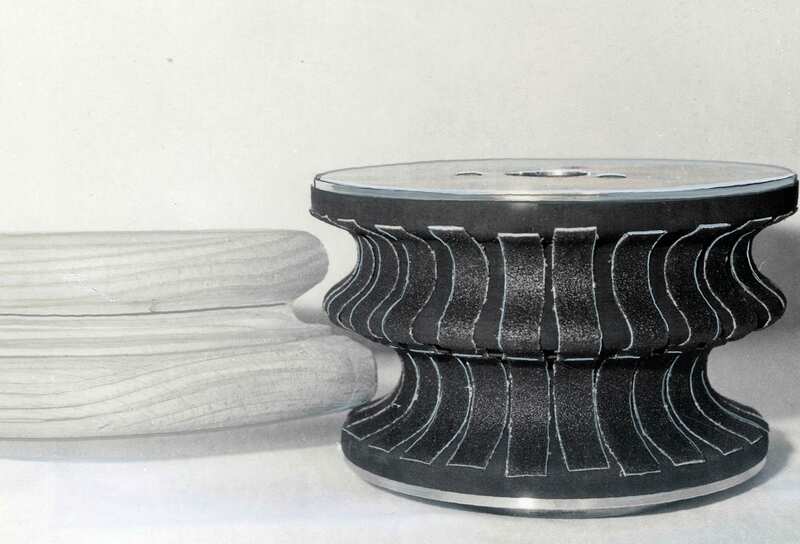 Following a number of attempts, a new kind of wood profile grinding disc is produced, the FAPI Elastic, with which an optimum grinding quality is achieved on profiles, edges and borders of all types of wood. 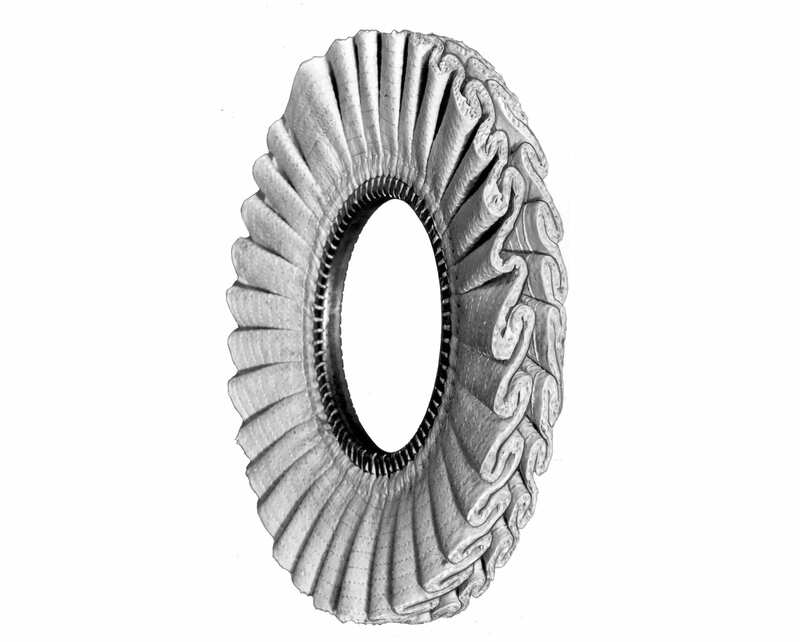 An ever increasing number of companies in the woodworking industry are supplied in addition to the customers in the metal industry. 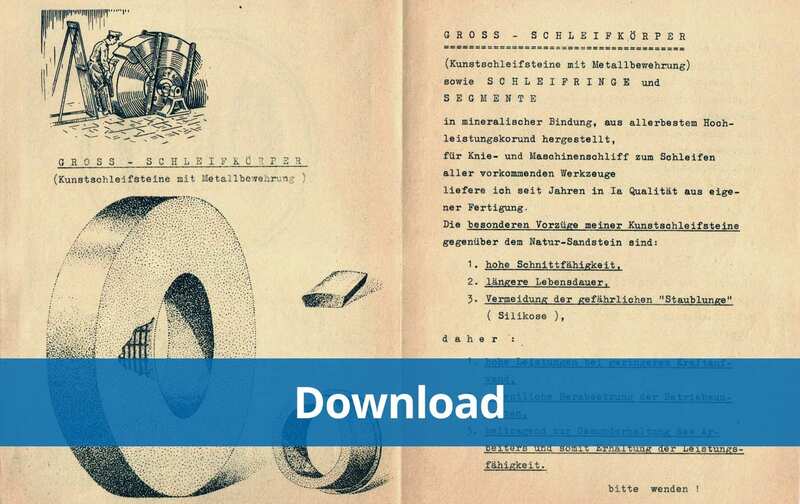 The enterprise can look back over 75 years of company history. 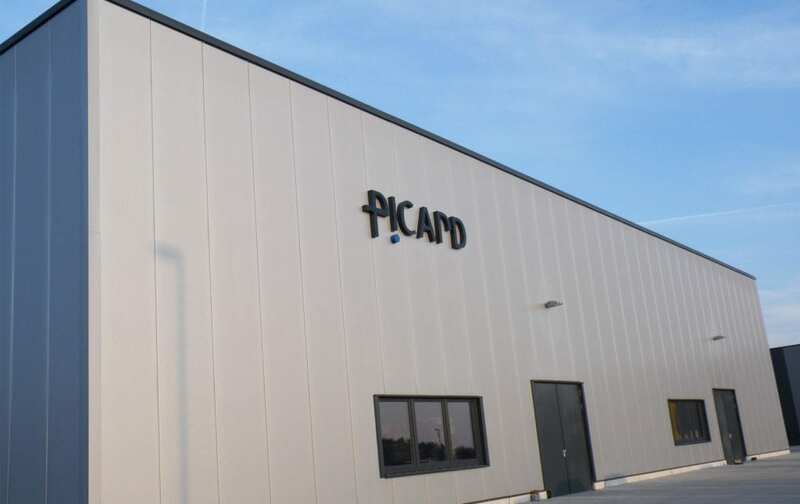 This success was achieved due to farsighted management and to a great extent, the work and loyalty of the employees. 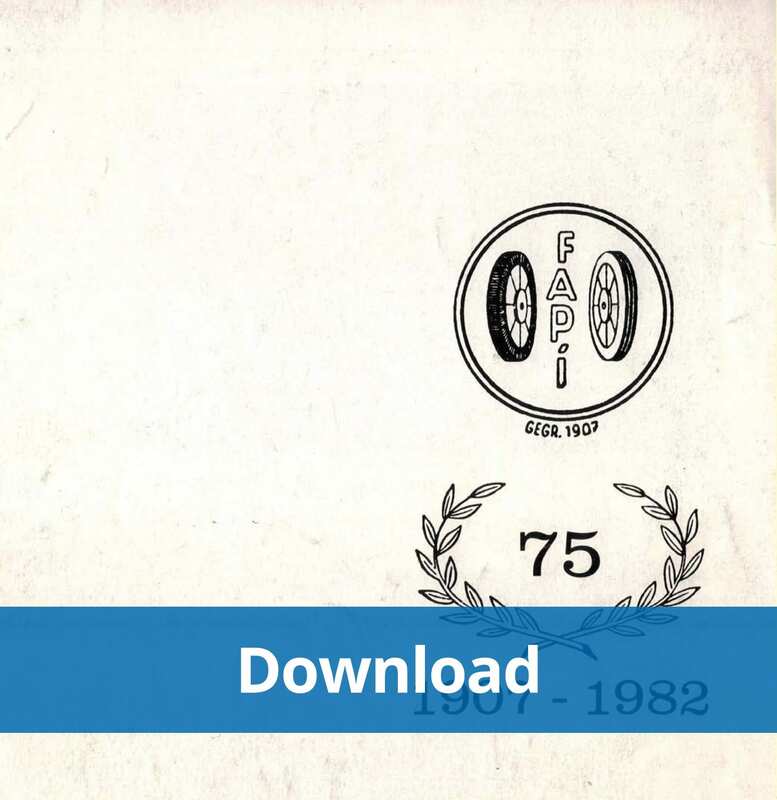 A number of employees have celebrated 25 or even 40 years of service with the company. 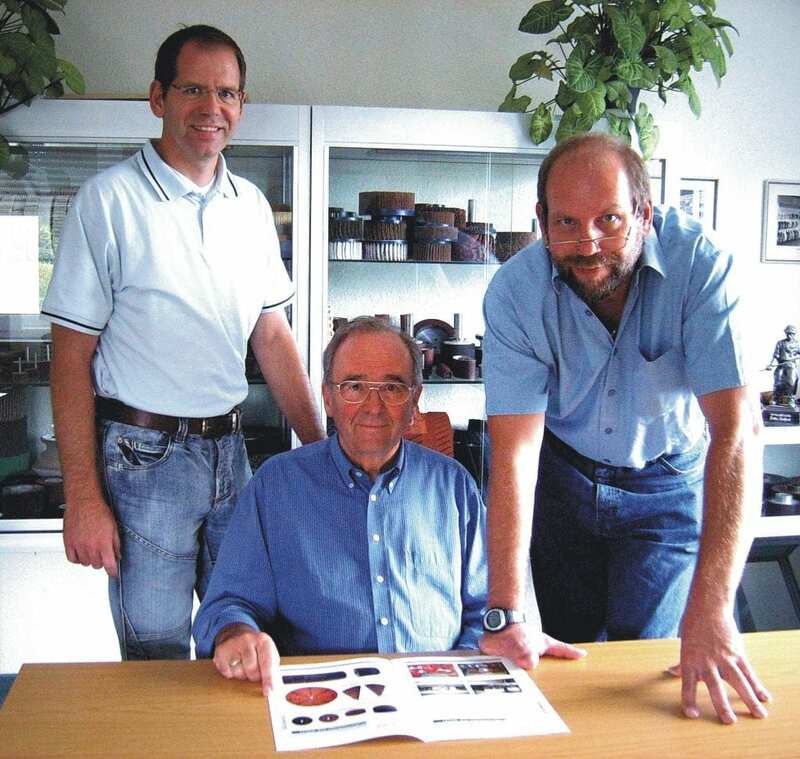 With Jörn Vahrenholt, Edmund Vahrenholt’s son, the fourth generation entered the business. 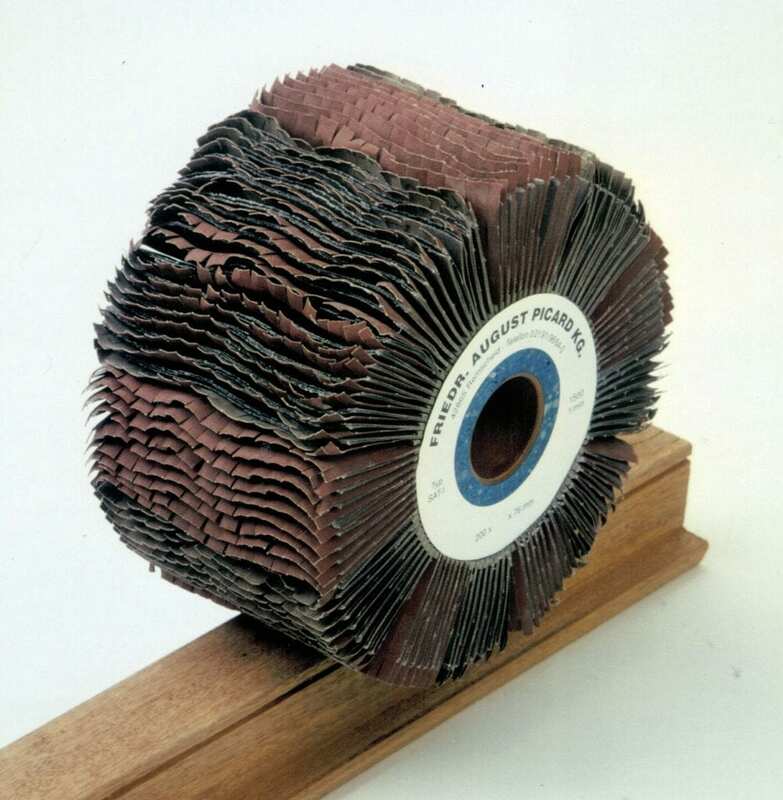 The certified Corporate Business Administrator introduced a new computer system in the following years that supports the business operations and supplies essential data quickly and comprehensively. 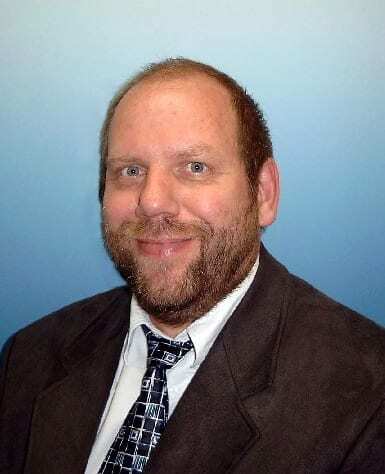 Dirk Vahrenholt, Edmund Vahrenholt’s oldest son, enters the business and takes over responsibility as director of production. A new type of profile grinding wheel, the FAPI Flex, is developed for fine wood grinding and intermediate varnish grinding and attracts great interest in the the wood working industry. 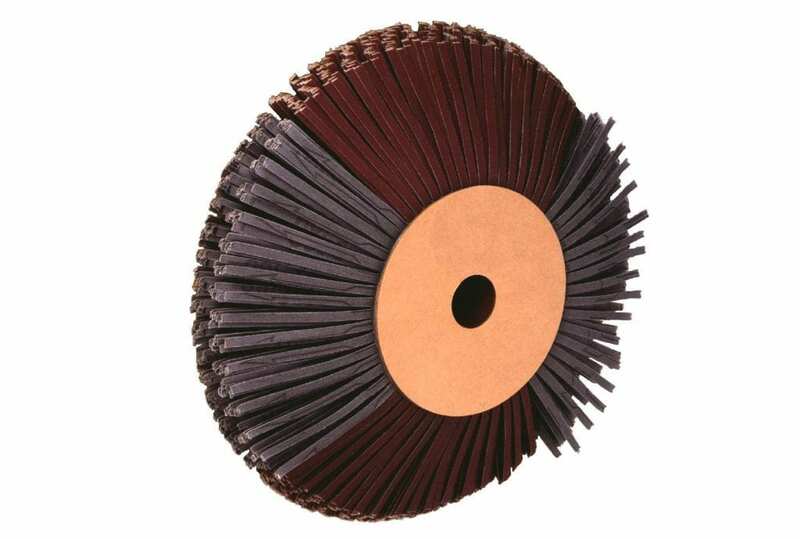 The sisal cord leather brush, used for the reworking of oiled and waxed wood surfaces, is introduced. 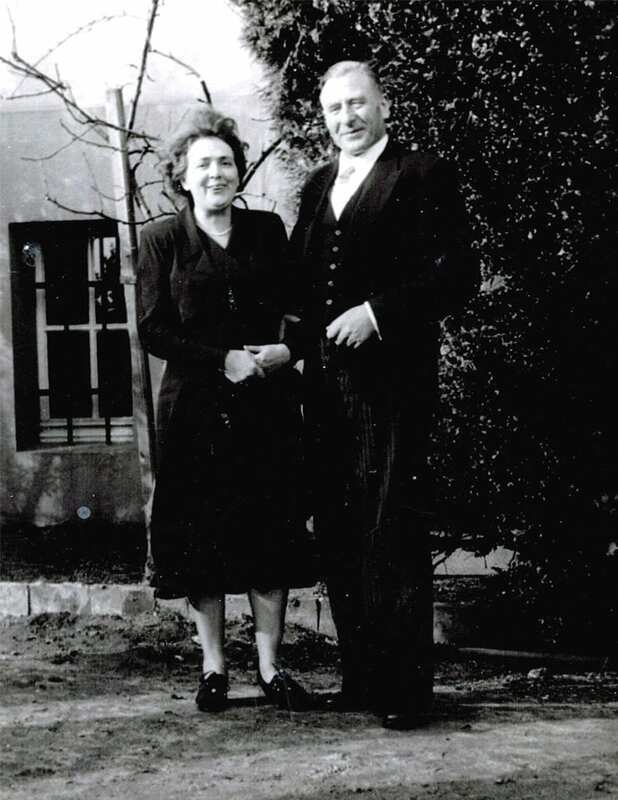 Long-time managing director, Mrs. Adele Keller, passes away on 29 November. She had been active in the business for more than 75 years. 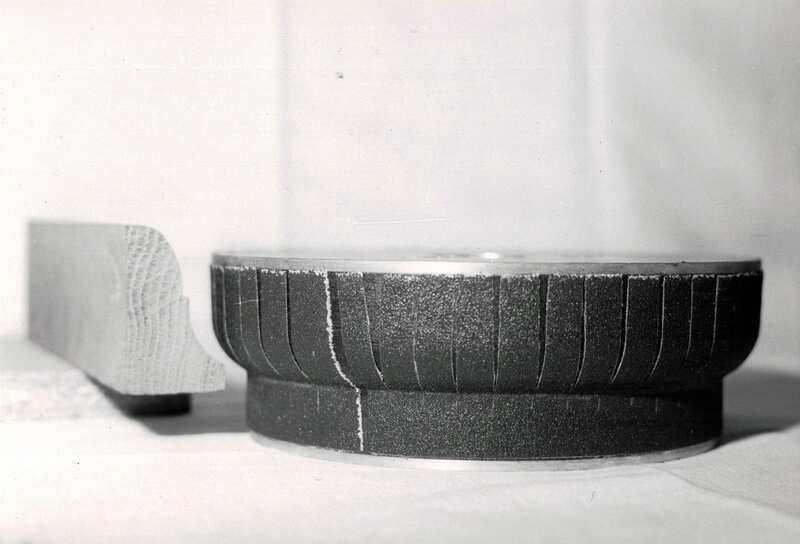 A new type of profile grinding wheel is developed for the machining of MDF boards on CNC routers and edging machines. 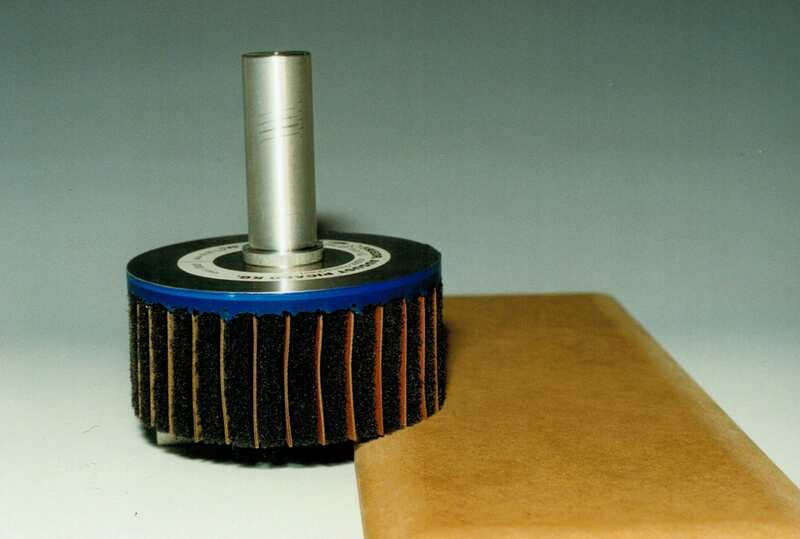 In addition, the profile grinding wheel FAPI-Flex-Radial SW6 and the FAPI-Flex-Radial for intermediate varnish grinding of rebate areas in doors, developed from the abrasive buffing mop. With a change in the articles of incorporation on 01.10.2001, Dirk and Jörn Vahrenholt are made partners, each with a quarter interest in the business. The remaining shares in the business are held by Edmund Vahrenholt and his wife, Anita Vahrenholt. 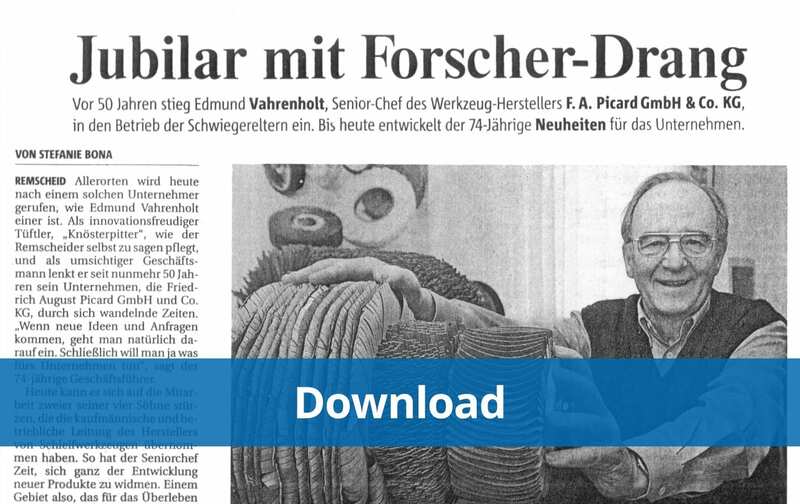 Edmund Vahrenholt has been active for 50 years in the Friedrich August Picard GmbH & Co. KG. 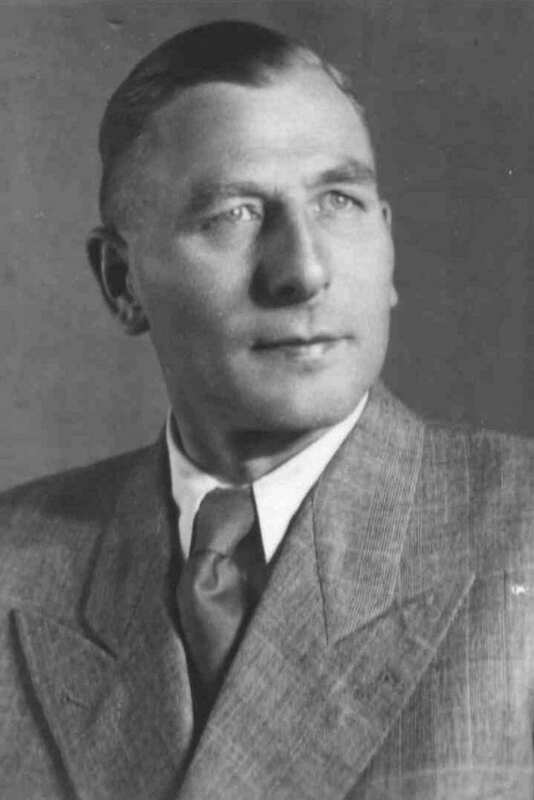 Initially as employee and later, due to his contributions to the business, as partner and managing director. 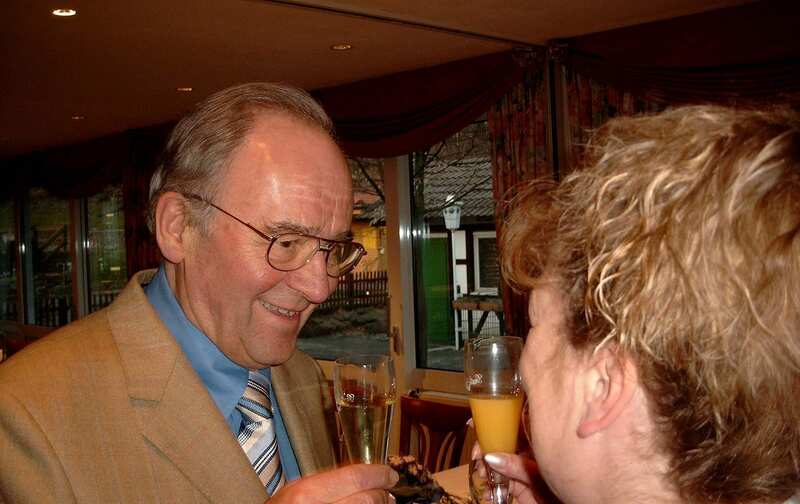 Edmund Vahrenholt celebrated his 50 years office anniversary together with long-time business partners and with the employees on 15 March 2005. 100th anniversary of the Friedrich August Picard GmbH & Co. KG. 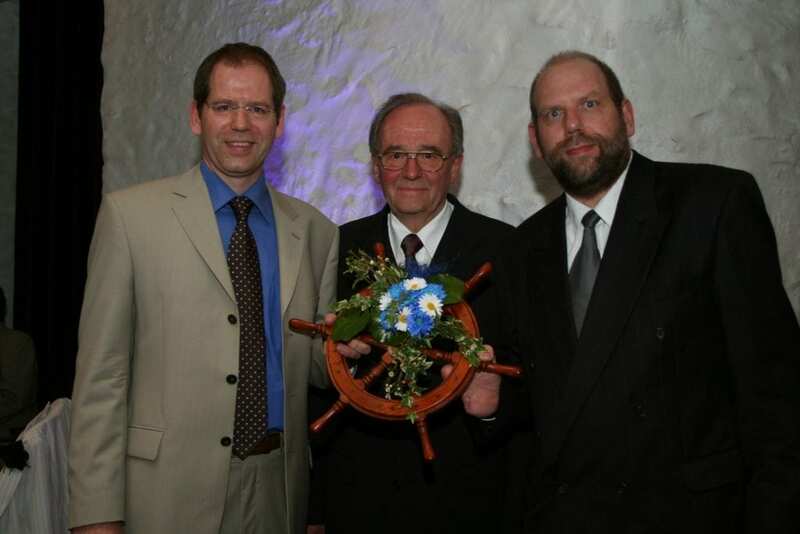 On 13.4.2007, with the motto “100 years – 100 days”, the anniversary is celebrated with all employees, former employees and business partners in the Klosterkirche in Remscheid-Lennep. 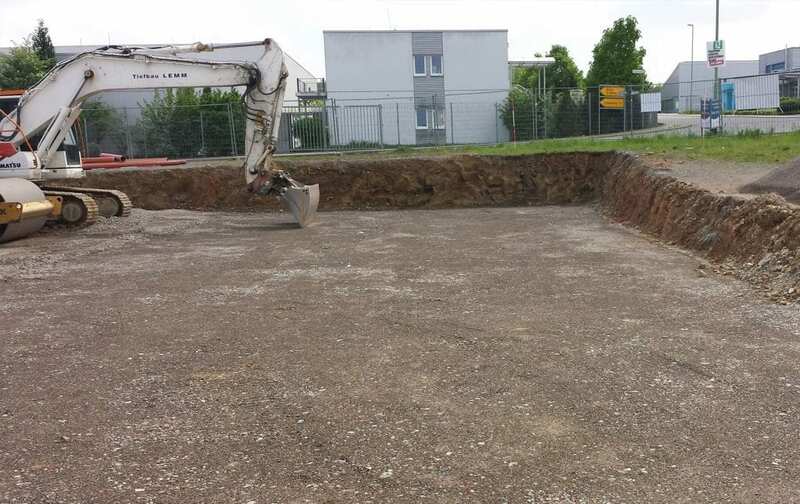 Due to the amendment of the articles of incorporation Mr. Marc Böck is partner of the company with a quater starting 1.1.2011. 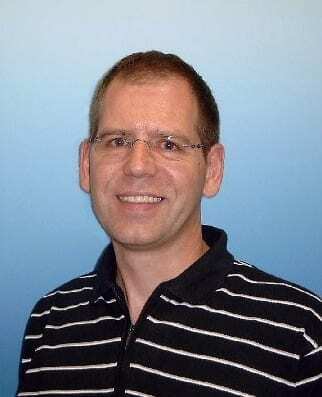 Mr. Marc Böck has decided to leave our company on 31.03.2013. 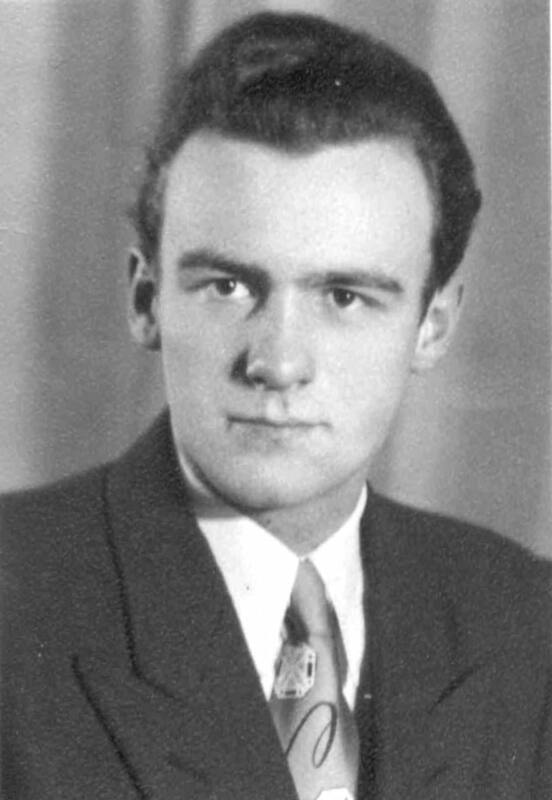 Besides finishing his master thesis, he would like to establish a management consulting together with his brother. 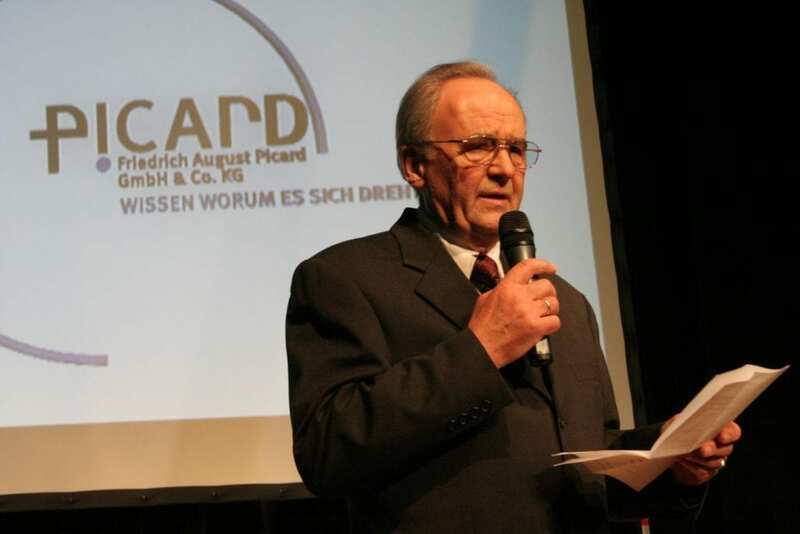 Therefore the traditional company Friedrich August Picard GmbH & Co. KG with its two managers Dirk and Jörn Vahrenholt is completely family property again. 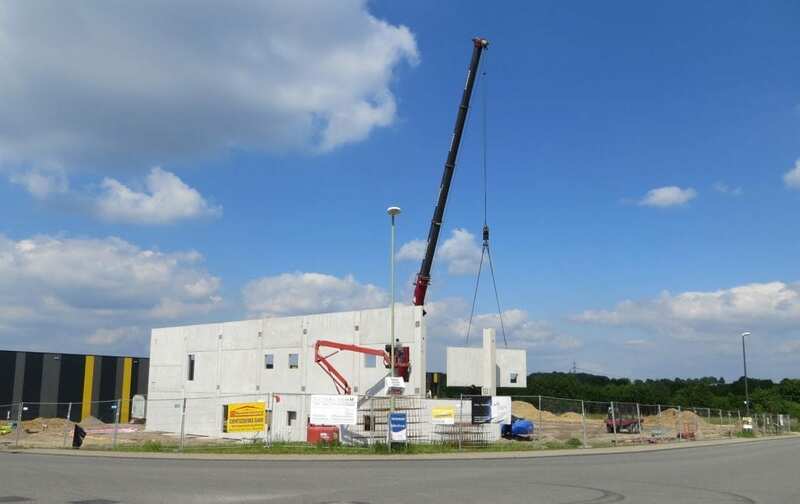 With a short address of the general manager Mr. Jörn Vahrenholt to the public the symbolically laying of the first stone of the new building in the industrial area west 2 (Winterhagen/Scheideweg) at Hückeswagen was celebrated today. Here arises a ca. 1.600 m² large production plant and a management section with more than 400 m². 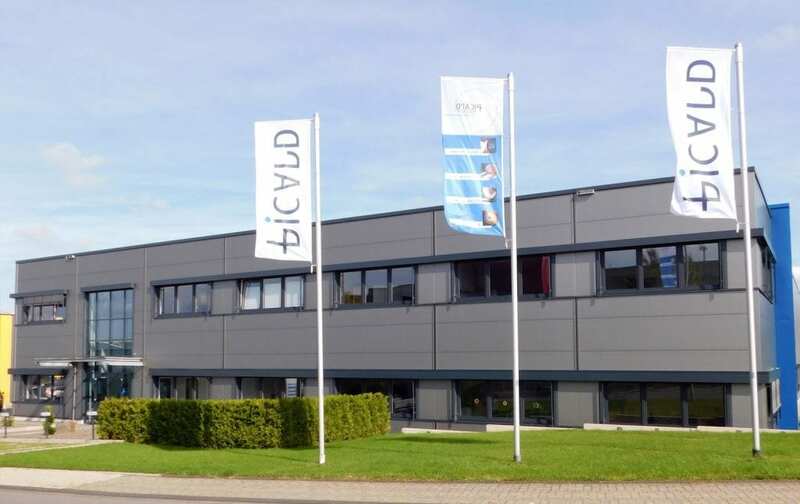 Already in December of this year the company intend to move into the new premises. It’s finished! 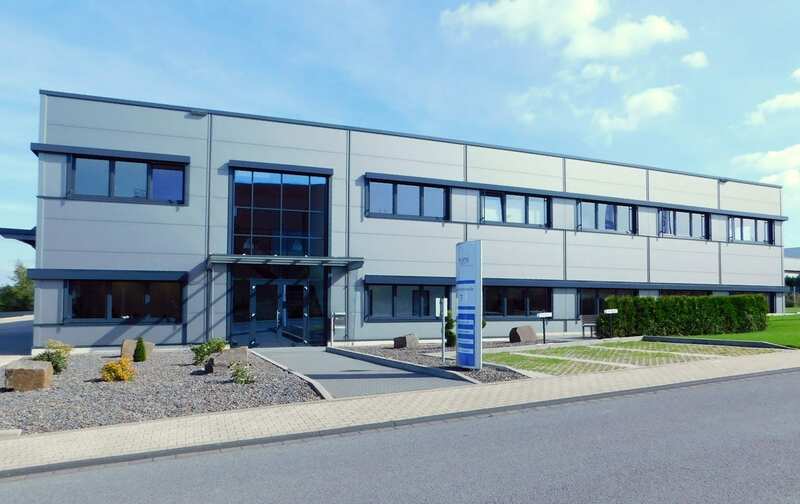 Upon completion of the new building the whole production department as well as the administration have moved from the old location Knusthöhe 21 in Remscheid to the new rooms at Heinrich-Schicht-Str. 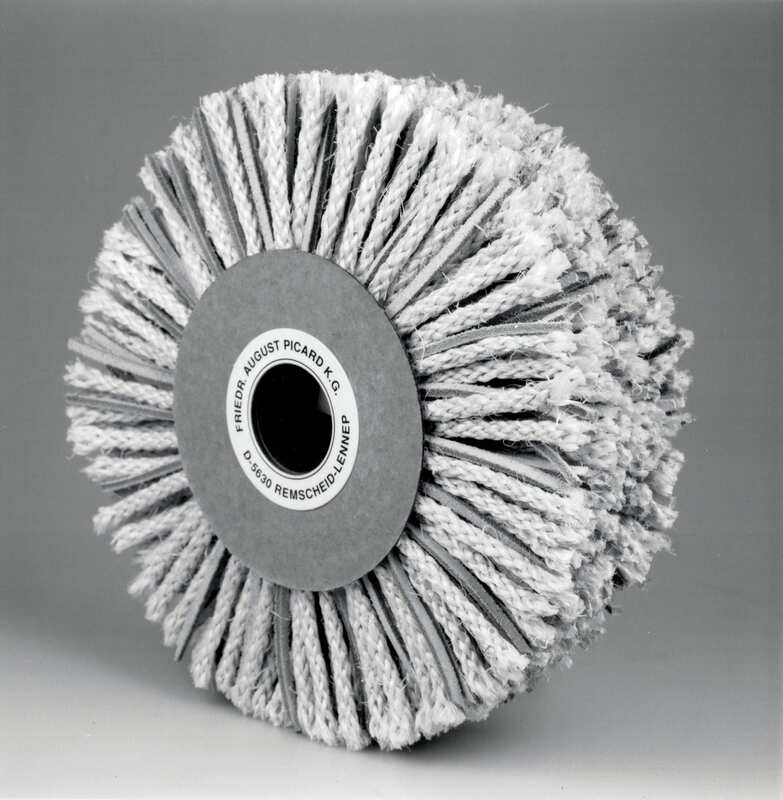 7 in Hückeswagen!